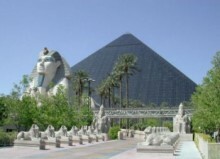 If you only have a short visit to cairo so This tour is helpful for you to see the most famous sites in cairo in just 2 days and if you have extra free day you can have a quick tour to visit alexandria then back again to cairo in the same day. 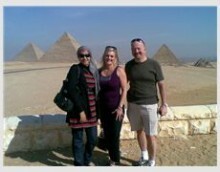 3- Ended our tour in Giza Plateau to visit one of the seven wonders of the ancient world,the pyramids of the Giza as the Great Pyramids of Cheops, Chefren and Mykerinus, famous Sphinx and Valley temple facing the great statue. Lunch will be served at good quality local restaurant. 1-start at 9 a.m ttransfer to enjoy the Egyptian Museum,have a look on the famous masterpieces and the famous Treasures for king Tutankhamen. 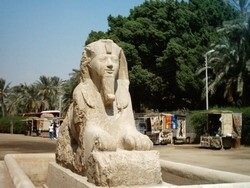 There is something what tourists can see in Cairo. I travelled with Marwa Youssef and I must say - her tour organization is perfect. There was not any delay or something that can prevent us from our plan. We saw a lot of interesting places of Cairo. Of course these are the most known sights Pyramids, near Cairo. They belong to the most known constructions of humanity. 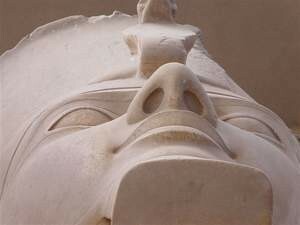 Also in our excursions I liked the first Cemetery of the ancient Egypt "Sakkara". Really interesting and informative place. Thank you Marwa very much for the days with us which gave us so many interesting information. It was really useful rest.